You can link your Ausmed.com.au and Ausmed.com accounts together by clicking into the settings page of Ausmed.com. To unlock this access simply login to your account, navigate to the settings page, click on the Link Ausmed.com.au Account tab and link your accounts. Once you do so, your subscription and documentation can by migrated over to ausmed.com. If you have documentation ausmed.com.au we will automatically migrate a copy across. 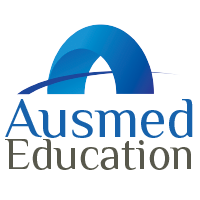 If you have a subscription on ausmed.com.au we will automatically activate Ausmed Pro on Ausmed.com.